Let’s talk about how to get the roots a polynomial. Essentially what that means is that we have something. We have a polynomial and we want to know what values are gonna make this poll what values for the variable x in this case are gonna make the polynomial work for solving it. Roots by the way is a synonym of the word solution or zero those are the words we use an algebra for root. They all mean the same thing. So, if we have it factored as we do here, the way we get the roots are. We are gonna look at each part we are gonna say when you have this times this times this times this equal 0. In ordered multiply together zero. One of this guys has to equals zero. Infected any these are zero, doesn't matter what happens in the other princes. Anything times zero is zero. So we can say hay, what would make this guy equals zero. So x is equal zero. Now we see, what make this equals zero. So you just can gonna rewrite it, equals zero. Solve at three both sides x equals three. So, there is another root or solution for zero. Ok, what would make this thing equals zero. Two x plus four equals zero. Solve it. Divided by two. negative four divided by two, negative two. There is another solution and lastly this one. X plus five equal zero. I’m reading experts five equal zero because I’m saying what would make this expression in the princes equal to zero. So inconnect wracked by from both sides x equal -5 that our last solution. 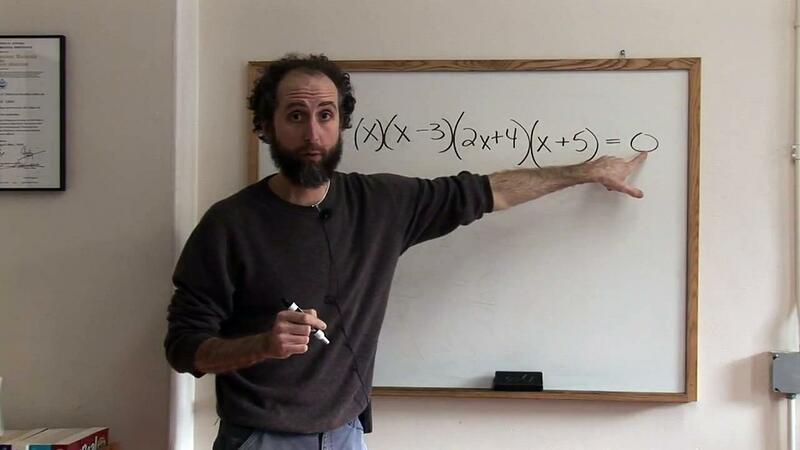 So there are one, two, three, four solutions to this polynomials. Either zero, three, negative two, negative five will make this work and that’s because one last time. If you plug in three for example three minus three, zero. So this expression will equal zero. Doesn’t matter what these guys are going to be calling because zero times anything, is zero.